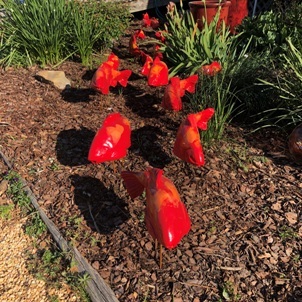 These lovely ceramic garden fish have tails that are both left and right so they look like they swimming though your grasses, perennials and ground covers creating motion and excitement in your garden. These colorful fish are made in Maine from high fired stoneware clay. They are able withstand even the coldest winter temperatures. Steel stakes which are included pass through the hollow fish and wedge in the top fin allowing you to place them at an angle you choose. Carolina Silverbell (Halesia diptera) also known as Two Winged Silverbell is a small deciduous tree. It can be grown as a multi stemmed tall shrub or trained as a single trunk tree. Grown as a tree it will be about 20 or 30 feet tall with a rounded form. Showy clusters of white bell shaped flowers appear in spring. The flowers are followed by two winged fruit that ripen in the fall. Th leaves will turn yellow in the fall. Carolina Silverbell is easily grown in medium moisture in well drained soils in full sun or part shade. 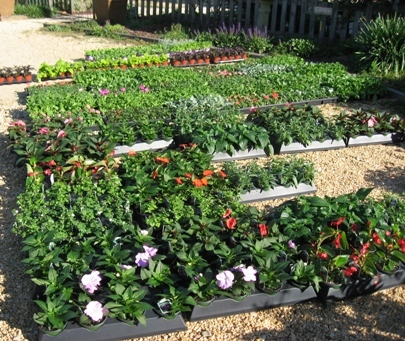 It's time to start thinking about planting your containers and summer flowering annuals. Our selection is excellent at this time and getting better each day as the weather warms. Bloom sprays are used late February through early April. From first bloom until essentially all flowers have opened. One or two sprays are adequate. We use bloom sprays to control fungal and bacterial diseases. When applying copper be careful to use the recommended rates to avoid bloom damage. On peaches and plums apply 2 tablespoons per gallon of water at bud break. One tablespoon per gallon of water 2 weeks later. Then 1/2 tablespoon per gallon of water 2 weeks after the last spray through petal fall. Bloom sprays are for fungal problems such as brown rot may not be needed every year but are suggested if brown rot on fruit was severe the previous year. Suggested products are Hi-yield Captan, Hi Yield Vegetable, Flower, Fruit and Ornamental Fungicide (12.5% chlorothalonil )and Fruit Tree Vegetable, Ornamental Fungicide (29.6% chlorothalonil) You may also use Liquid Copper Fungicide and Liquid-Cop. This spray begins at petal fall (nearly all flower petals have fallen.) and runs until 15 days before harvest. These sprays are used mainly to control insect and disease problems of the fruit. (especially plum curcullio which causes wormy fruit and brown rot which causes fruit rots). The first 2 to 3 sprays should be 7 to 10 days apart with later sprays up until near harvest 2 to 3 weeks apart. Suggested products are Hi Yield Captan Fungicide, Dusting/Wettable sulfur, Thiomyl. When using Thiomyl include Captan in the spray to reduce possible development of resistant strains of brown rot. For plum curculio and other insects, Mal-A Cide (50% malathion) or Bug Buster.The old fruit tree spray that contained Malathion and Captan is no longer available. However, the gardener can prepare the same spray by mixing per directions the captan and malathion together. A word about fire blight on apples and pears. 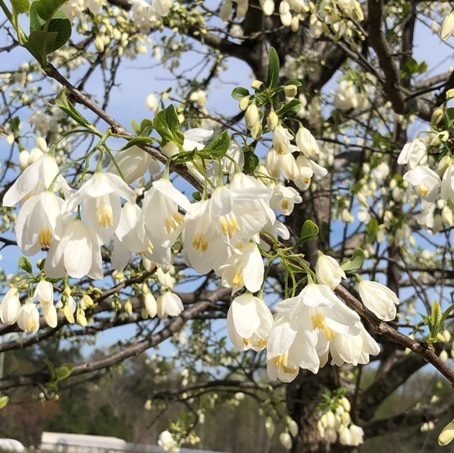 It is a bacterial disease that attacks the blossoms and moves up the stems into the branches causing them to turn black and the leaves to look scortched. Often is is spread by the bees but also by rain splashes and birds. Copper sprays are excellent to help control this problem but also there is a Fire Blight spray which is Streptomycin. It should be sprayed when the trees are in flower every 10 days until the tree has finsihed flowering. If you are seeing fire blight on your trees remove the infected branches and either burn them or dispose of these branches in the trash. Do not put in the compost pile. It is getting late but you still have time to prune your muscadines. Do that job pronto and give them a good dose of fertilizer. We use Nursery Special on the muscadines. Fertilize blueberries and blackberries at this time with the same fertilizer if that job has not already been completed. Fertilize all fruit trees now. We use Fruit, Citrus and Nut tree fertilizer since it has all the micro nutrients for the tree. Tomatoes can be planted now. 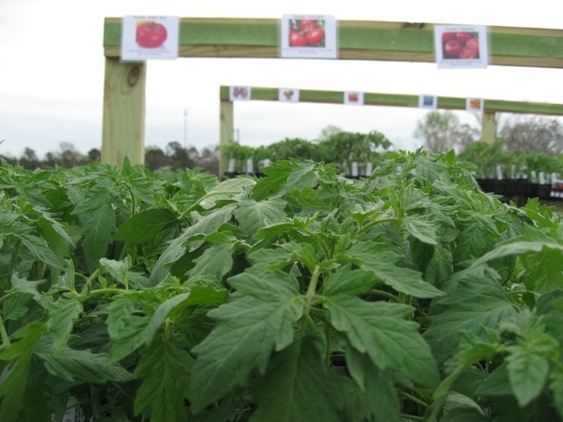 We have about 65 different varities of tomato plants this year so selection is outstanding. There are also a number of varieties of seeds for the person that chooses to grow their own plants. Remember to plant your tomatoes deep right up to the top leaving just a few leaves at the top out of the soil. The plants will produce roots all along the stem which will make them more drought tolerant. 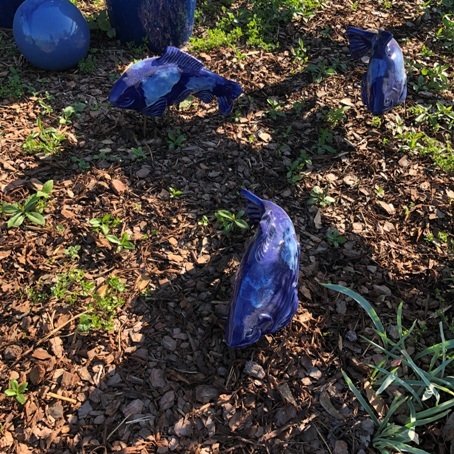 I always throw a handful of pulverized lime in the hole when planting along with a handful of fertilizer and mix it in the soil before planting my tomatoes. The lime helps to prevent blossom end rot. The blackberries are beginning to bloom. To control disease such as anthracnose, gray mold and to control the strawberry weevil, which cuts unopened fruit buds, we apply a spray of Neem Oil or spinosad. Should you choose to spray after flowering has begun, it will be necessary to spray very late in the afternoon or early evening while the bees have ceased pollinating. Malathion may be used in lieu of spinosad if needed. Dr. Powell is also spraying the blackberries with F-Stop, myclobutanil is the active ingredient, for rust. This is also sprayed right before flowers open or when just a few have opened. Check your daylillies for aphids. Use Malathion to kill them immediately and then I use the Fertilome Rose and Flower food with the systemic insecticide in it to get the ones that will be coming back. You can also use Neem Oil. 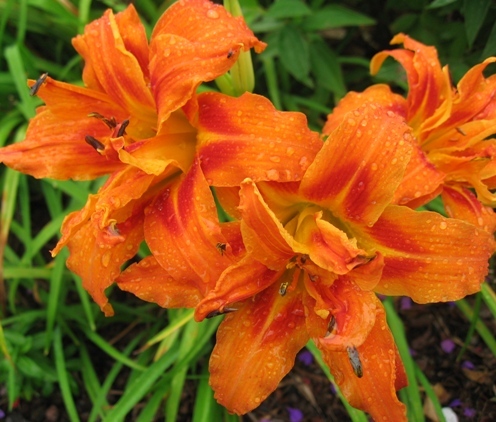 It will control the aphids and help prevent the rust problem that some day lillies often have. 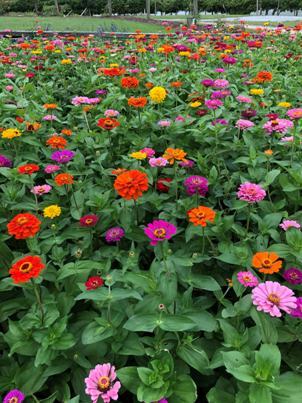 Think about planting seeds for summer flowering annuals like zinnias, cleome, sunflowers and cosmos. We have these seeds in bulk for $1.00 a teaspoon or tablespoon depending on the size of the seed. We also have bulk vegetables seeds like Rattlesnake beans, pinkeye purple hull peas, okra and silver queen corn. These are southern favorites! If you never had the chance to prune back your repeat flowering roses, just wait until they have finished flowering and then prune them. They have already set their buds. When you are finished pruning add some fertilize. I use the Fertilome Rose food with the systemic insecticide in it. It will take care of aphids and other insects that might be eating your roses. Your spring only flowering roses can be pruned when they are finished flowering. Fertilze them also when you are done pruning.